A set of build/release tasks to help debug build/release pipelines by inspecting environment variables or file structure on the agent. 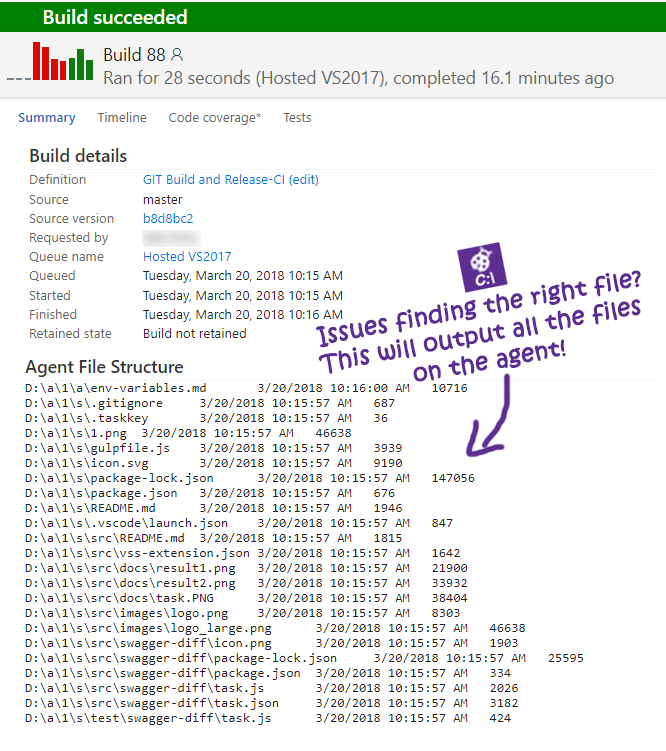 A set of build/release tasks to help debug issues with your build/release processes by inspecting the agent. Have you been in a situation where your build is just working as it should? These tasks might help you! In case of errors with the processes/pipelines, inspecting these values can be very helpful for solving issues! 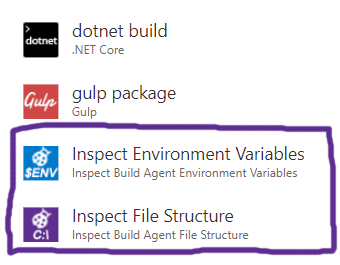 Add the Inspect Environment Variables and/or Inspect File Structure tasks to your build. This should preferrably happen at the end of your build to get the end-results of files and environment variables. Or you can also add multiple inspection tasks and track diffs of the variables or files. 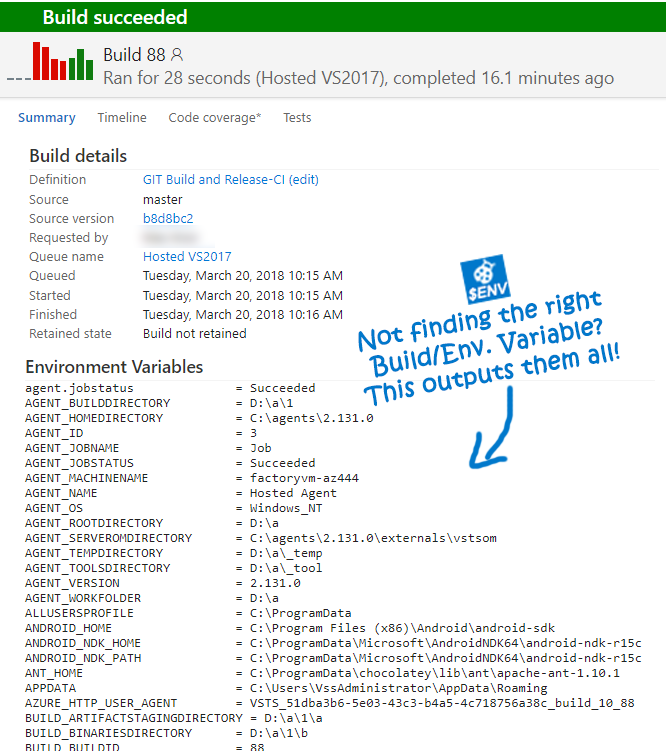 Once the build is done, you will find attached build / release results for files or environment variables present on the build agents at time of execution. Please suggest a new feature on GitHub!